September 6th in Premium Themes by Wordpress Jedi . Believe it or not, a lot of news portals are starting to switch to WordPress not only for its flexibility but also for the wealth of plugins that are available to help them enhance their blog’s capabilities. If you are looking to switch to WordPress and give your site a makeover, there are plenty of themes around that are designed to help you get the job done more effectively. 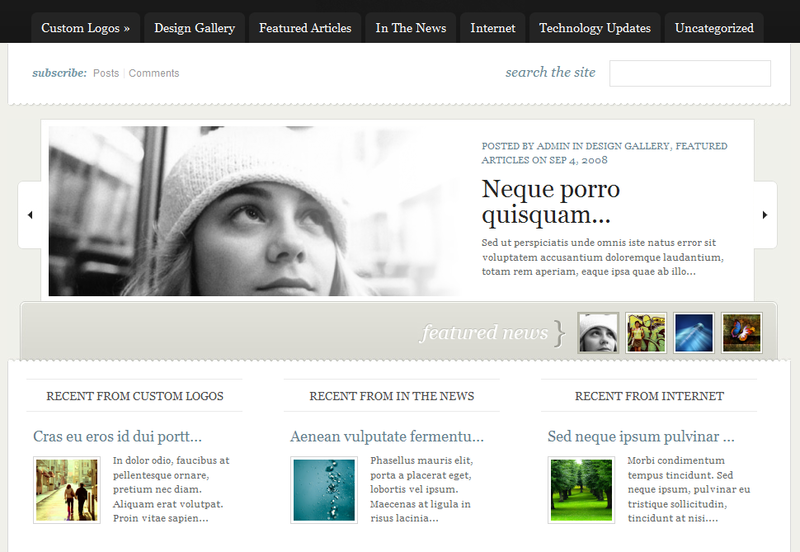 eNews is a cool new WordPress theme that is designed specifically for WordPress news portals. It’s a flexible and convenient theme that lets you make your switch and change things around your blog without having to write a single line of code. The theme comes with 5 color schemes that you can use to customize the look of your site fast. It also comes with a cool looking featured section at the top that you can add your top stories to. And while the default look and feel is very portal-like, you can change things in the back-end to make your site look like a blog. Adding images to this theme is not that hard either, and the theme does automatically re-sizes your thumbnails, so you not only save time, but you don’t have deal with images either. What’s more exciting about this theme is its back-end. 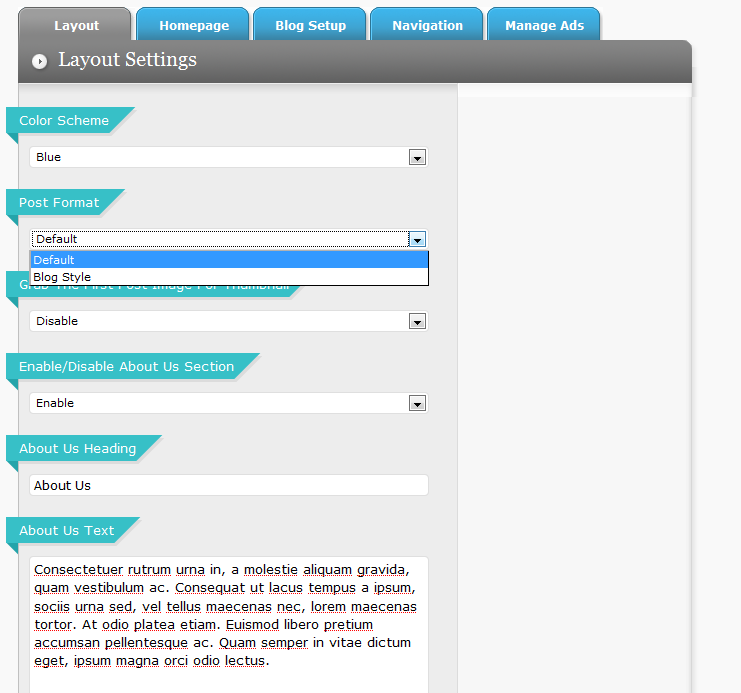 You can easily change almost every aspect of your theme without having to write a line of code. The back-end is programmed specifically to save you time and effort in the long run. You can use it to customize your home page, the featured section, and even manage your ads fast. All in all, eNews is another cool WordPress theme that is designed for journalists and news portal owners. If you are looking to get your hands on a killer theme for less, you should give your eNews a try.